Do you make New Year’s Resolutions? If so, what are yours for this year? I usually don’t make new year promises but this year I had a few things I felt would make for good “resolutions” as they involve behaviors that I’ve decided to confront. Note: these are yoga related but the concepts they represent carry over into everyday life. 1) Fear of being upside down. This year I WILL NOT SHY AWAY from inversions. I’ll consistently work on my forearm stand, tripod headstand, handstand, and drop back/walk up backbends. The more I try these postures the less worried I’ll be getting into and out of them. 2) Laziness in favoring muscle groups that are strong and avoiding those that are weak. I do lots of arm balances that rely on shoulder strength and struggle with those that need other muscle groups to come into play. I WILL BE PATIENT but consciously attend to practicing those postures I struggle with or dislike because I find them uncomfortable. With time that will change! Laura, these are great resolutions, and I do see how they apply to more than yoga. Good luck, and I can’t wait to hear how they go! I’m glad you liked it! 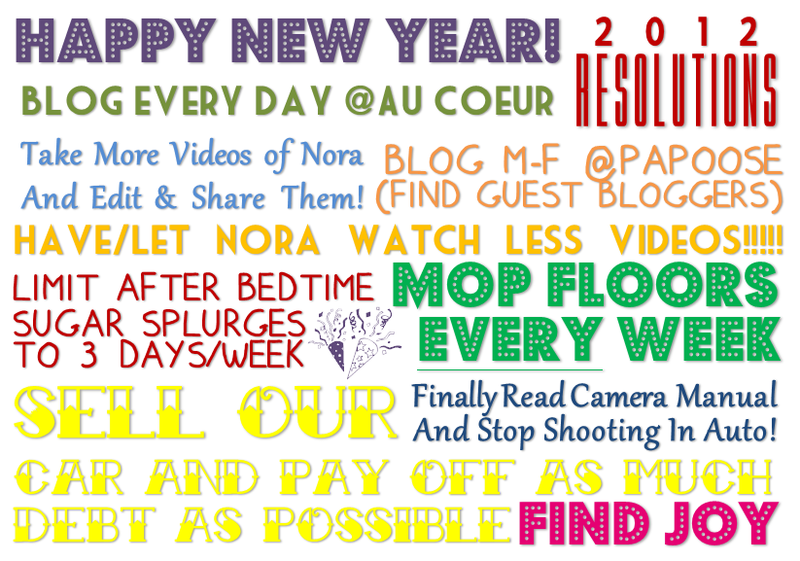 I wanted something nice I could print out and hang up to remind myself of my resolutions. Believe it or not, this was mostly done in Word! I download neat fonts from http://www.dafont.com. They are all free and safe (virus free). For this, I just used “word art” to type out each statement so that I could easily add a shadow, different colors/sizes, and, importantly, drag them around the page. Once I had them the way I liked them in Word, I took a screenshot with the PRTSC button on my keyboard (basically, it takes a photo of your entire screen. Then, I opened my Paint program and pasted in the screenshot (press CTRL+V). I croped the part I wanted and saved it as an image. It’s very easy — it just takes a while to get the sentences all lined up to create the square. If you have odd gaps you can insert an image or just put in extra spaces between words or letters.